This is the first time a defunct UAV gets a profile for the index. 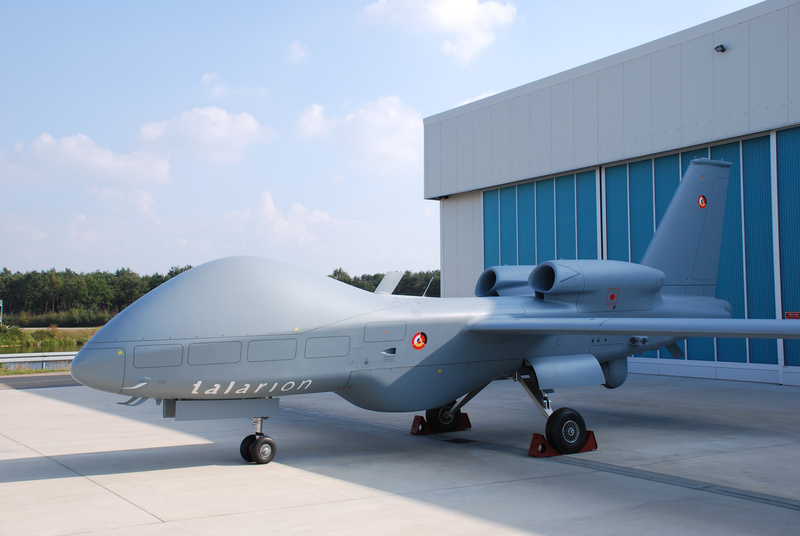 The Talarion was an expensive and radical project by EADS, a pan-European defense consortium, that sought a MALE drone for the main NATO allies. Aspiring to match the Global Hawk, the Talarion enjoyed some mileage in the air show circuit but had less traction as a prototype. 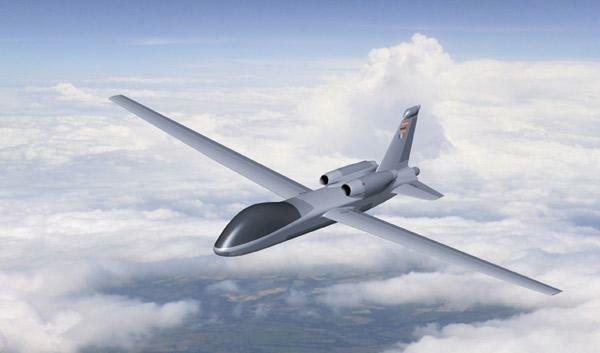 The Talarion was envisioned as a twin engine MALE UAV with obvious ISR features. Its dimensions were intimidating, with a 32.8 foot fuselage and a 100 ft wingspan, being larger than a first generation fighter jet. But how exactly the Talarion was supposed to operate and the extent of its capabilities was never realized. Intended to surpass the original General Atomics Predator and Elbit Systems’ popular Heron, the Talarion’s ceiling was in the 50,000 ft range, with maximum speed beyond 500 kilometers per hour, and its airborne mission time exceeded 20 hours. The Talarion’s layout is its most noticeable future. With its engine type a question mark, it was designed for a robust 1.8 ton payload that can possibly fit munitions within a module in its belly, which is at the center of its retractable tricycle landing gear. The blister for its cameras and fire control system is in the rear, directly below the engines, while a nose cone houses radar and avionics. Unfortunately, the gulf between its specifications and actual performance was never bridged. Unveiled at the annual Paris Air Show in 2009, by 2010 the head of EADS defense portfolio announced that without additional funding for R&D, the Talarion’s future was in doubt. According to Think Defence, in 2012 the Talarion was shelved. For lack of any concrete news published online in the following years, the whole Talarion program can be written off, just like the defense contractor that labored to build it. EADS became defunct in 2014 after it was renamed the Airbus Group SE. This made it one of the most short-lived defense contractors in modern times. Founded in 1999, the European Aeronautics and Defence Space Company was the product of a merger between French and German industrial interests. Growing pains, an unwieldy portfolio, and irregularities doomed EADS’ future. This is recounted in detail by The Wall Street Journal and today Airbus Group is among the world’s 10 largest aerospace and defense contractors. With the globe-spanning scope of its myriad operations in mind, the Airbus Group’s preoccupation with unmanned systems appears ephemeral. After all, it’s got the Eurofighter to peddle abroad. In 2014 its subsidiary, Airbus Helicopters, made a historic deal with China’s AVIC for joint production of the EC175, a multirole helicopter.